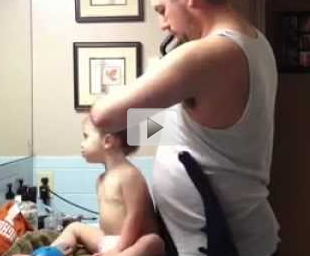 Learning how to do hair can be difficult for Dads. They aren't use to using curling irons, pony-tail holders and Bobby Pins. But one Dad doesn't let this stop him from making his daughter beautiful. Using the hose on the vacuum, this Dad gives his daughter a good-looking hairstyle. Take a minute and check it out.